LAUNCHING THE ‘DEPARTMENT OF OPEN’: Based on how focused they’ve been on OER this week, it might be time to rename the Department of Education. OER advocates were at the White House today for a symposium on open education, which featured the launch of the Department’s “Go Open” campaign. As we celebrate some of their historic commitments to OER, here’s a sampling of what’s been going on. The Department of Education is proposing a new policy that would ensure educational resources and other intellectual property created through its discretionary grant programs would be openly licensed. The proposal is the first major step that the Obama Administration has taken toward fulfilling a call made by more than 100 organizations this summer for a government-wide policy to openly license federally funded educational materials. A group of technology companies and civil society organizations have made commitments to support school districts who want to #GoOpen. Amazon, Microsoft and Edmodo have announced a set of tools that integrate with the Learning Registry, enabling schools, teachers and students to more effectively find and use OER. Creative Commons, ASCD and the Illinois Shared Learning Environment have pledged professional development and platform support. A cohort of 10 K-12 school districts have committed to take the “#GoOpen challenge” and replace at least one traditional textbook with open resources. Six additional districts with experience successfully implementing OER have volunteered as ambassadors to provide mentorship and support for districts just starting out. FROM MEXICO CITY: A number of OER advocates were south of the border for the Open Government Partnership Summit this week. The Open Education workshop there was cosponsored by the US and Slovakian Governments, Creative Commons US, and SPARC. Read more about it from CCUS’ Hal Plotkin. MORE COVERAGE FOR DURBIN BILL: All told, the introduction of Senator Durbin’s Affordable College Textbook Act generated more than 60 news articles about open textbooks and OER, including positive coverage from the traditionally skeptical Fox News. Congressman Grijalva (D-AZ) has been added as a cosponsor as well. PARALLEL VICTORY ON OPEN ACCESS IN CALI: Through a new Presidential Open Access Policy, the University of California is allowing their researchers, faculty, and others to grant rights to the University prior to any contracts with a publisher. The new policy means that, while researchers are free to publish in journals of their own choosing, this large body of research will be available to the public and liberated from paywalls. DID YOU KNOW? The UC System is responsible for over 2% of the world’s total research publications! BUT ALSO, OER TROUBLE: A math professor at Cal State-Fullerton was reprimanded for assigning a different textbook than he was instructed to by his Department head. The course – one in a set of successive courses – was supposed to use the $180 textbook authored by Chair and Vice Chair of said Department. Instead, Professor Bourget assigned one textbook costing $75 and other openly licensed materials that he says teach the same content as the expensive textbook. His disciplinary case is currently before a faculty grievance committee – but is being closely watched by OER advocates as well. An underlying question: does academic freedom apply to individual faculty? or to departments and institutions? SOME STABILITY AHEAD? : Congress is only a few short steps away from reaching agreement on a deal to raise the debt ceiling and fund the government for two full years! Could this be brief respite from jumping from shutdown to shutdown? Budget stability means that Congress might – just might – be able to move on to reauthorizing the HEA, ESEA, and other education-related bills. It’s Thursday, October 15th. Ethan Senack here – so many updates this week! Halloween is just a couple days away, and I don’t have a costume. 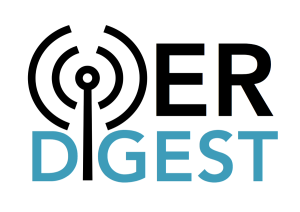 I’m guessing that going as “Guy who forgot his costume” won’t fly this year… Don’t forget to send tips, updates, opportunities, and feedback to @HigherEdPIRG or esenack@pirg.org with the subject “OER DIGEST”.